Our Marketing Calendar functionality keeps getting better, but there's always room for improvement. Today we have prepared several updates you should pay attention to. Let’s get to them. More detail brings more efficiency. 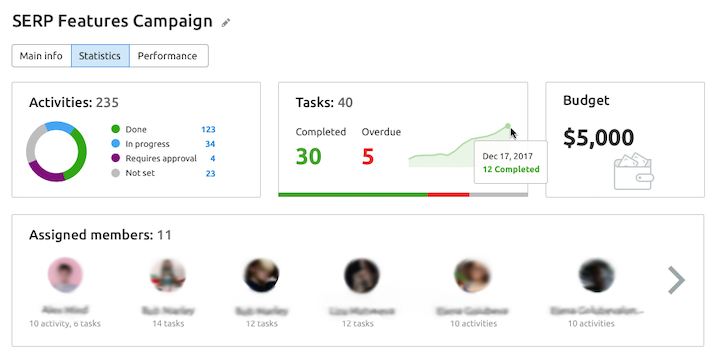 We have embedded the Statistics sections for each campaign, where you can now check your current campaign status, the list of collaborators, the number of current tasks, a campaign budget, and a timetable for completing the tasks. Is your activity planned to last for some time? Add a time period when creating it in order to be more precise. Try our new advanced sharing features. There’s no need to invite your collaborators one by one. You’re now able to create invite links giving users access to a specific calendar. A long-awaited feature, external links, are now available in the tool. 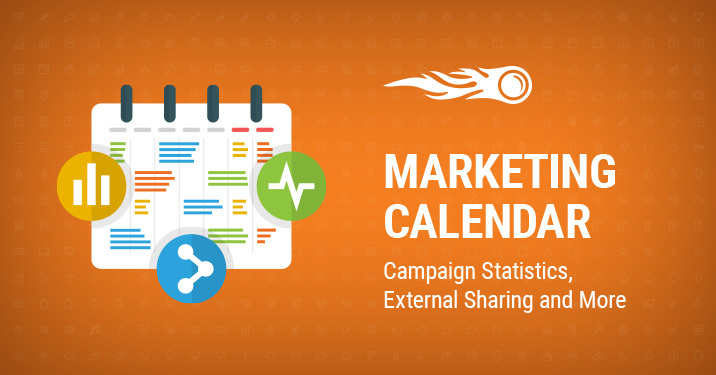 Simply share your calendars with clients or collaborators who don't have a SEMrush account. A user who follows such a link will be able to view the content of the associated calendar in read-only mode. The involvement of your coworkers is now easier than ever. Find new sharing options in the Share Calendar section. We now display data from our Social Media Events Calendar! Whether you’re planning a holiday campaign or just trying to follow up on significant dates for your target audience, this feature will come in handy. By default, only holidays are displayed in the Calendar, but you can adjust it in the Filter section. “There is nothing so intractable as a calendar,” as someone once said. Well, use a great one and you will definitely become good friends. What do you think of this update? We hope you find it useful. Don’t hesitate to send us your thoughts and suggestions at [email protected].